Tis the season for entertaining! From holiday gatherings to New Year’s there are plenty of reasons to entertain this season. The great thing about these essential home features is that you don’t have to necessary move to a new home to achieve them. You can either build these on or DIY some of these items. Then if you’re planning on moving anyway, you can keep your eye out for some of these essential home features. Here are five of the top essential home features to have if you love hosting and entertaining. Where do your guests most often corral when you’re hosting? The answer is the kitchen, of course. And when you have a kitchen island, you achieve the balance of meal prepping while interacting with your guests, instead of being cornered off in the kitchen. It also serves as a makeshift dining area to serve your appetizers and drinks. And if it’s large enough, buy a few bar stools to truly host in style. One of the essential home features to have as a host is surely an outdoor space to transport the entertaining elsewhere. Whether you choose to have your entire gathering outside or you just want to have another space for your guests to migrate, it’s a great space to make your party more interesting. Outdoors, you can have additional seating or even a fire pit. And if you have the space, you might create a whole outdoor “living room” complete with a TV and more. Having unique storage in your home is a host’s best friend. Here you can store extra glassware, dishes, wine bottles or even appetizers atop the surface if it’s portable. 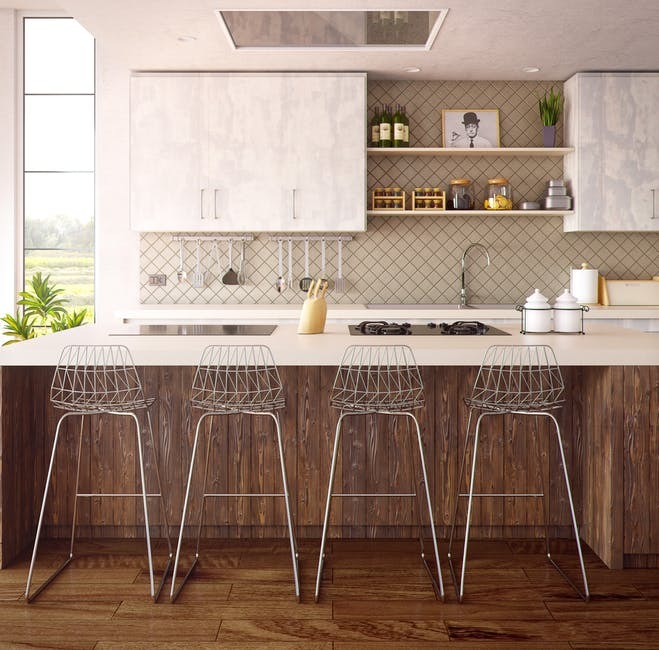 As a buyer who loves hosting, you’ll likely be on the lookout for customized cabinets, a butler’s pantry or a walk-in pantry with additional refrigerators. Whether you have a wet bar or a bar cart, these home features are essential if you’re planning to do a lot of entertaining. If your current home doesn’t’ have a wet bar, you can consider adding one or simply creating your own bar space off to the side of your living room. It’s also very popular to have bar carts carrying all of the essentials from glassware to mixers. Plus, bar carts aren’t restricted to one space and can go from your living room to your back deck. Have you ever been to a friend’s house and found it impossible to park? Even if they have a gorgeous home with a bar cart and kitchen island, it can be frustrating if your guests are stressing out over parking. If you already live in your home and have this issue, you might consider expanding your driveway to make room for more of your guests’ cars. Then if you’re on the house hunt, be on the lookout for homes with plenty of street parking or a large driveway.